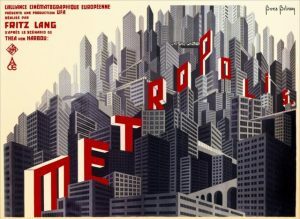 ‘Metropolitanism’ is viewed as the art and skill of metropolitan planning, governance and cultural expression. According to Doxiadis’ Ekistics a metropolitan city region counts minimum 4 million inhabitants, while larger city regios are sometimes also referred to as megalopolises (up to 150 million). Yet, for TCi any city of any scale needs to be approached as a city region consisting of the urbanized core and connected urban clusters, as well their surrounding hinterlands including agricultural and natural territories. BlueGreen (WaterNature) and GreyRed (InstructureMobility) Networks form the hardware armature of city regions, while UrbanCulture ads software meaning and sense of place. MetroPlanningGovernance is the orgware that connects all the dots in as contextual way. For TCi, metropolitan governance is at the heart of the urban age, and with metro-governance comes the need for tailored metro-planning. TCi core team members and partners have multiple experiences in working with and for metropolitan areas all over the world. We do not only want to share and theorize on these experiences, we also want to practice evolving insights and theories slowly building up on ‘metropolitanism’. All three TCi core team members are professionally and culturally engaged in Metropolitanism, with Sebastian’s focus on the BlueGreen-GreyRed armature, Nicholas’ lens on the UrbanCulture while Frank has some expertise on the PlanningGovernance approach. Also most TCi partners have excellent skills and records on Metropolitanism. A first concrete project idea is to organize an Urban Thinkers Campus in and around Athens as the mother of metropolitan city states – with the mother currently being in a very vulnerable territorial condition. TCi’s first Athens Campus aims at paving the path for an Athens Metropolitan Think Tank similar to the model of the Dutch DeltaMetropolis, that expressed interest in the idea to share and exchange know how and express solidarity. The campus is planned for spring 2019 and ideas and partnerships are most welcome. A first TCi article on Athens Territorial Austerity can be found here. In case interested in sharing your experiences and/or partner with TCi, please contact us.